Notably harden DEF of self. 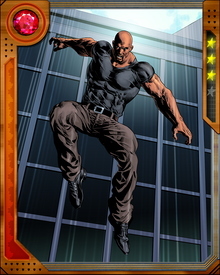 Cage prefers to go his own way and maintain his independence, which led to one of his nicknames: Hero for Hire. But he can be counted on to do the right thing. 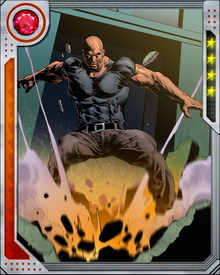 He has allied with super hero groups when needed, particularly the Defenders, and he maintains a close friendship with Iron Fist.